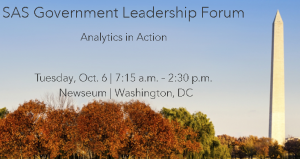 Cybersecurity, intelligence & analytics will also be hot topics at the SAS Government Leadership Forum. Following World War II, an intelligence-sharing partnership was formed between Australia, Canada, New Zealand, the United Kingdom and the United State of America. The original alliance, called Five Eyes, was focused on monitoring the communications of the major global threat at the time – the Soviet Union. As the world has developed, so has the focus of the Five Eyes cooperative. The terrorist attacks of September 11, 2001 and the popularization of the Internet, cell phones and other consumer communications technology have combined to redefine the global threat landscape and, necessarily, the global intelligence community’s approach to combating physical and cyber threats. As critically important as it is for Five Eyes member nations to share meaningful intelligence, it is perhaps even more vital for them to share effective solutions. Despite having the intelligence resources of five of the world’s most advanced nations at its disposal, the Five Eyes alliance still faces significant challenges in regards to the sheer amount of digital information. In the modern world, domestic electronic data stores are a prime target for state-sponsored hacking. The power of social media has proven to be a driving force for jihadists and radical fringe movements. The need for Western governments to monitor social media and online forums for intelligence will continue to grow. Parsing through the ever-growing mountains of data generated by social media platforms and online forums goes well beyond the capabilities of any one analyst team alone, and requires sophisticated text analytics technology. This was a major theme at the first SAS Five Eyes International Internal Forum, held last week at the SAS office in Arlington, VA. The forum served as a launch pad for SAS teams from the United States, the UK, Canada and Australia to discuss how they are currently meeting, and could better meet, the needs of the global intelligence agencies that comprise the Five Eyes intelligence sharing alliance. At the forum, attendees had the opportunity to explore common trends and issues observed by Five Eyes stakeholders, and the Intelligence Community’s perspective on current issues. The profits of financial crimes are often used to sponsor terrorism, so topics such as trade-based money laundering and Chinese underground financing were of interest. The impact and benefit of the cloud is of interest to all the Five Eyes nations as a medium to quickly scale and deploy solutions. Other technology discussions and demonstrations included open source intelligence using text exploration, applying analytics to virtual or augmented reality environments and fighting criminal activity in the Dark Web. The forum provided an international perspective of how the global intelligence community may best navigate the spectrum of modern threats with analytics. SAS teams from around the world are in a position to intelligently anticipate and meet the needs of FVEY member nations. In an environment of increased threats, non-stop data and limited personnel resources, SAS can help national security and policing agencies worldwide, from the United States to Australia, do what they do best. By collaborating and sharing methodologies, solutions and architectures, SAS can help Five Eyes nations capitalize on the investments they’ve made and repeat proven solutions to get them to their missions faster. And that’s good news for everybody. Attendees will be discussing these - and related - topics today at the SAS Government Leadership Forum in Washington, DC. You can watch the livestream or follow #SASGov on Twitter to read conference coverage. 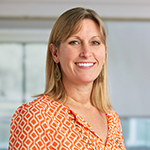 Lori Davis is the manager of the National Security Group with SAS, where she leads the group’s efforts to support the business and mission goals of the U.S. Department of Defense (DOD) and the Intelligence Community (IC). Specific areas of focus include using analytics to detect and prevent insider threats and cyberattacks, as well as using analytics to improve the performance of the DOD and IC. With more than 15 years of government software sales experience, Davis has held federal sales leadership roles at multiple companies, including MarkLogic, Blue Ridge Networks and IBM. She received a Bachelor of Science in Management, Advanced Study in Information Management Systems from Virginia Polytechnic Institute.